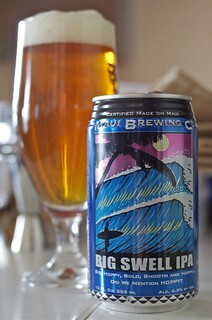 Maui Big Swell – A beer I’ve been after a while, picked up from Utobeer in Borough Market on a brief wander through that also netted a can of Maui’s La Perouse White (Hoegaarden-a-like, quite nice). The reason I’ve been looking for it is because Maui are the first brewery that I’d heard of to put ‘craft beer’ in cans, with BrewDog listing them as an inspiration for their canning of Punk IPA and 77 Lager. As I’m a fan of Punk and like the fact that I can fit cans in my fridge nicely I felt that I should at least have a try of Maui’s beer as a thankyou for kicking James Watt and pals in the right direction. On the nose it was slightly soapy, with sweet orange peel, pine resin, pineapple, a touch of mulch and some definite alcoholic notes, giving away its 6.8% ABV. In the mouth it was quite thin, starting with a big sour green hop and some booziness, fading through sour green leaves and orange pith to a lingering bitter green finish. It’s quite dry and savoury, and it looks like the 6.8% is due to having a nice chunk of sugar turning to alcohol. I rather liked it, even though it’s one of those beers which makes you thirstier as you drink it. It is a beer that I feel a bit of limp-wristed liberal guilt about, as there are few places that you can get beer from which have more food-miles attached to them than Hawaii. Good as it is the US style IPA explosion means I can get similar (BrewDog) or better (Kernel) a bit closer to home. 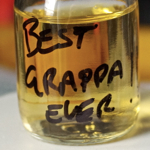 Castagner Torba Rossa Grappa – An interesting one this, passed on by occasional drinking acquaintance Phil, who bought some recently with mild trepidation – grappa doesn’t have the best of reps. This one is made using the pomace (leftover bits after you’ve made wine) of red grapes, which is then fermented and smoked with peat during fermentation. 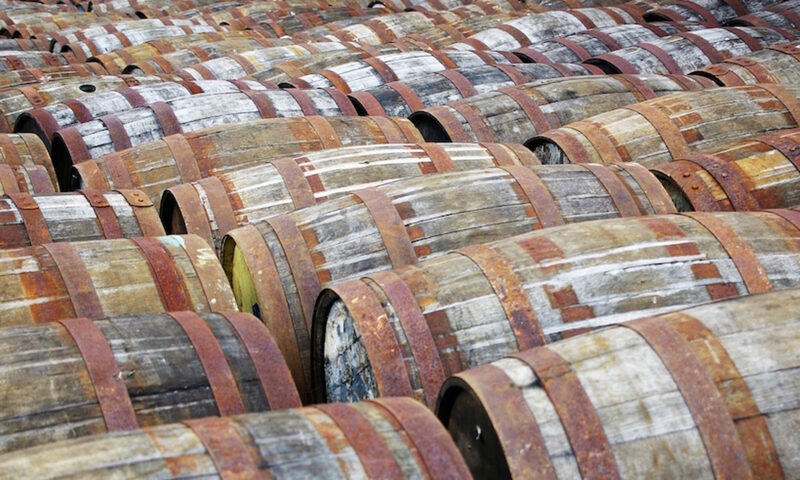 They then distil it and age it for a year in oak. 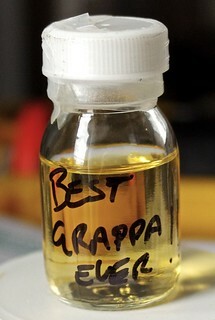 Which is a bit more than the usual grappa ‘ferment pomace, distil the wash, stick it in a bottle and sell it’ process. Phil’s pithy twitter review was simply “I do not feel sick after trying it”. Knowing that I was also intrigued (knowing pretty much nothing about grappa other than vaguely how it’s made) he brought me along a sample to the last Whisky Squad session. On the nose it had warm rubber, black school plimsolls, sweet butter, sweet grapes, grapefruit and a hint of stony minerality. To taste it had sweet butter icing, olive oil, toasted brioche, custard tarts, elderflower syrup, stewed black tea and some sour wood hiding behind and creating a nice balance. It finished with more butter, sugar syrup and vanilla essence. A weird spirit which I had no expectations of – strangely tea like, with vanilla, sour fruit and some nice bready notes. I don’t know if I’d want a bottle of it, but I wouldn’t mind trying it a few more times just to be sure. Russian Standard Vodka – While I don’t often get offered samples from PR people, it’s even more rare that I get asked if I want to try a vodka, especially one that I already know quite well. 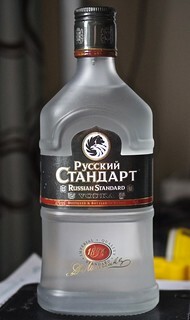 Russian Standard is a reasonably priced supermarket staple that I often use for booze related experiments – it’s not strongly flavoured, is quite cheap and takes other flavours well. I’ve not tried it on its own for a while so when a sample bottle turned up in the post I poured a shot and put another in the freezer for later. At room temp it was quite sweet on the nose, with light citrus and noticeable buttery notes. On the palate it was thick and oily, with syrup, butter icing and candied lemons. It finished sweet, almost tending towards cloying. Chilled to -15°C (I love my temperature probe) the nose was less sweet, but had more butter and a hint of mixed spice. In the mouth it was, as expected, even thicker, with the butter from before, more icing, a touch of cinnamon and less citrus. It finished sweet again, with a nice cinnamon and coriander edge. I’m not much of a vodka drinker but I suspect I shall keep using Russian Standard as my house vodka – it has a nice mouthfeel and no off flavours, making it perfect for experimentation, and if I run out of more flavoursome booze it’s quite nice neat. Thanks to Melanie from Slam PR for the sample bottle. Exactly what circumstances would have to line up in order that you ran out of booze? I would need to take home all of my booze that’s sitting at work and then my flat would have to burn down. The fire should take care of the alcohol in a way that mere collapsing may not.